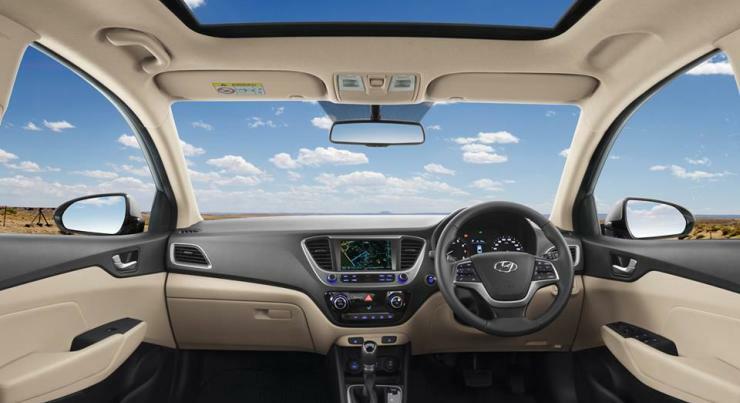 Despite a price increase post GST, the Hyundai Verna sedan is continuing to sell very well. And buyers aren’t buying much of the cheaper variants of the car. Instead, 90 % of them are opting for the mid and top-end SX and SX (O) variants. It seems like the C-Segment sedan buyer wants features and luxury rather than just a lower price tag. 60 % of the Verna buyers are opting for the diesel engined variants, and 25 % of buyers are choosing the automatic option in both petrol and diesel. The new Verna has now beaten the Honda City and Maruti Ciaz in sales, and is the top-selling car in India’s C-Segment space. The Verna is designed to be a market leader. The earlier generation Verna was also a leader in its segment from 2011-13, before it underwent product fatigue. We believe the new Verna will continue its success run for a long time. It confirms the fact that the Verna customer in particular is unique and appreciates ease of driving. As you go above the Rs 10 lakh price point, there’s an increasing preference towards diesel fuel. The Verna is offered with 1.6 liter petrol an turbocharged diesel engines. The petrol engine produces 125 Bhp and 153 Nm while the diesel engine is more powerful, with 125 Bhp-260 Nm. Both engines offer 6 speed manual and automatic transmission options. The SX variant gets twin airbags and ABS as standard while the SX(O) variant adds four more airbags into the equation. Other key features include a reverse parking camera, a 7 inch touchscreen infotainment system, automatic climate control, automatic headlamps that also get projectors, automatic wipers, push-button start and a keyless entry system. Prices of the Verna start from Rs. 8 lakhs for the base E variant while the SX model starts from Rs. 9.69 lakhs. The top-end SX(O) Diesel is priced at 12.69 lakhs while the SX+ Diesel automatic is priced at Rs. 12.88 lakhs.